James River Footbridge - longest bridge along the AT. I'm going to call this the month of strange weather. Since moving to Virginia, winter has been mild - I did experience 8 inches of snow one evening, only for it too reach 48 degrees the next day and be completely melted two days later. This is what happens when 8 inches of snow meets 76 degrees. Didn't run today - don't plan on it. After a nice chat about listening to your body with Dr. Zealand and "being smart" I decided to listen. This quad/hip flexor or whatever muscle didn't get any better after yesterdays run. Spent an hour on the turf stretching, loosening, push ups, sit ups and such instead of running. I probably increased my mileage + hill running too quick when I moved here. Sometimes it is hard to say if what I am doing is actually making me a better runner. In my purest form, I have some level of natural ability to run. By training, I should become a better runner. Sometimes the things I do in my training may cause my running ability to actually digress, even from my natural ability. I want to be a "happy" runner 5, 10, 15, 30 years from now. Maybe running 120 miles each week all year is not going to allow me to do that. It will be more beneficial, maybe, to run at a lower weekly mileage doing a variety of different types of workouts (WORKING ON MY WEAKNESSES for example), then doing a scheduled stint of 6 weeks or so prior to the "focus" race of high mileage. My mindset is slowly changing. I am slowly becoming less stubborn with taking rest/days off. I want to enjoy the mountains, a slick singletrack trail. Maybe the time on the mountains shouldn't be what increases happiness. Maybe increased happiness is derived from a balance Mind, Body, Soul. Actually, I know that is what brings happiness. When I feel the best/happiest is when I am floating. That is not when I am injured/tired. Running shouldn't be complicated. Competition makes it more complicated. Having some immature attitude to run 100 miles weeks all year long is complicated. Having a schedule planned to go to 200 miles in June is complicated. Being injured is complicated. I don't want complication. So, I'm laying low for a while. I normally don't like taking off days but I am learning. Off days are really beneficial - I'm getting over this strange mindset that I have to run 120 mile weeks all year. It's fun when you can run a lot of miles in the mountains but it is not fun when you can't run at all. There really is no reason to run this much, this early in the year unless the "focus" race was in March, and it isn't. The great debate in the ultra-sphere of how to train for ultra-races has seemed to level off over the past several months - partly because there are fewer big races this early in the year but mostly because people are realizing there is really no 100% correct way to train for an ultra (even more likely is because the topic was beaten to death). There are simply too many people being successful in races who train in a different style. Ultrarunning is completely subjective in that regard. 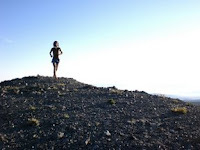 There are still questions that I cannot answer about the sustainability of certain types of training...unfortunately it is impossible to sustain a high level of training for X amount of time and when many ultra runners are constantly on the edge in their training, it is important to discuss the limits of how far to go and for how long. Many cases show runners training at a high level in terms of pure mileage and time. Noticeably, and probably most recognizable, is Anton Krupicka's 2007 lead-up to the Leadville 100, when he ran over 1000 miles and 150 hours in a 5 week span - this is not even to mention what was sure to be an incredible amount of elevation gain. This high level of training led to a 45 minute personal PR at Leadville and a margin of victory by over 3hours. Was this sustainable? Maybe for a couple month period it was... but from this post it seemed as if the sustainability ran out after he tried to resume his heavy training shortly after L100, as he had to be sidelined with an injury. It should also be noted that the 5 weeks leading up to the 1000 miles in 5 weeks went like this: 0 mi., 63 mi., 32 mi., 29 mi., and 133 mi. The Krupicka account is a micro-example of a very high level of training -really only over a 7 week period. 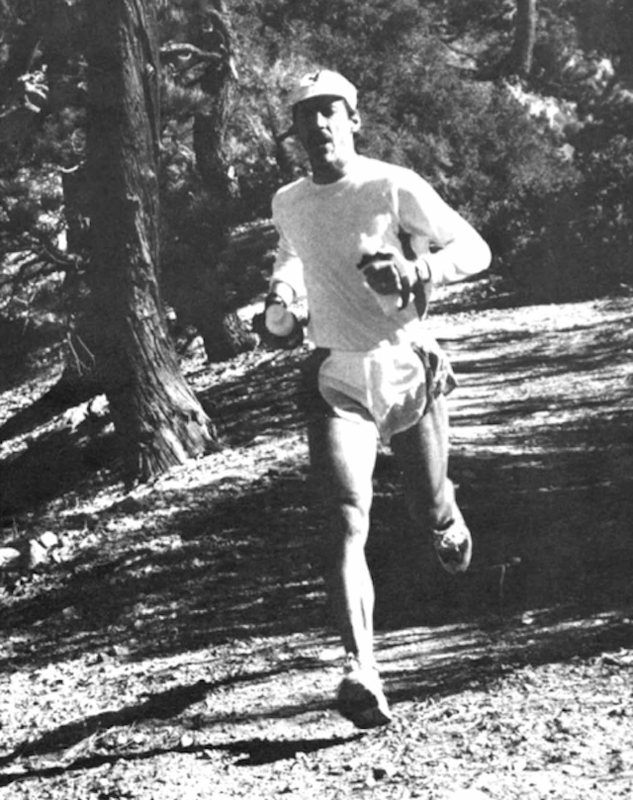 Another example of training at a high level, that I would love to learn more of, is Jim O'Brien's training for the1989 Angeles Crest 100. 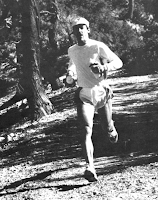 O'Brien ran what is now considered one of the stoutest course records in ultra running, standing the test of time at17:35:48, over 50 minutes faster than any attempt thereafter. This article lets us know a little about his AC journey. So, this could be considered a macro-example of training at a high-level. He focused his training on AC100 a year in advance and ran six weeks of peak mileage from 150-200 miles (I had previously heard he ran 200 miles a week for the 10 weeks leading up to AC, but this article proved otherwise). We have good reason to believe that he built up to that 150-200 range in the previous months and weeks. There are obviously many different types of training considered at a "high level" other than running high mileage alone(i.e. mountain running, speed work, etc. ), but those types are not as demanding as spending the amount of time on ones feet (and the pounding in legs) that it requires to run 150-200 miles a week. Every runner is unique and can innately handle different amounts of mileage for different amounts of time. When someone tries to justifiably put a cap on people’s ability to handle a certain load, it can lead to lesser performance, so that is not the purpose here. It should be more about people understanding that there is a certain limit, but smartly attempting to defy the odds of human expectations. There are certain values at being on the complete edge of one’s fitness. For one, it will give a lot of confidence and readiness for a 100 mile race. It also just feels good to be fit and pushing the limits. Maybe most importantly, it is intrinsically satisfying to travel long distances over relatively short period of times through nature. With all that, there are apparent negative affects at being at such a high level as well. So, it is ultimately your choice on how you train, and at what mileage you decide to reach. The dedication and time involved to get at a high amount of miles is considerably taxing – then you have to weigh the odds of if you want to risk getting injured or not… there is always a risk though. If your goal is to “go for broke,” you might want to push the edge a little further. If you are trying to be more sustainable, it might be best to scale back the miles so you can amass more miles over the course of an entire year, not just a short period of time to nail a race.